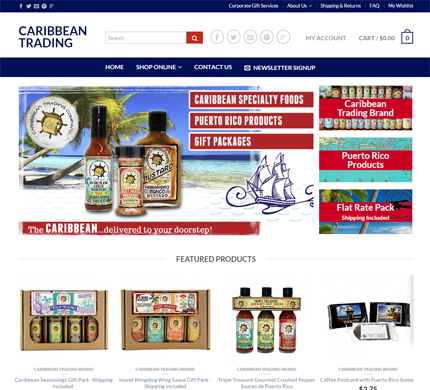 Caribbean Trading needed a new build of their existing website, with new graphics and the addition of a full eCommerce site. DeLime Website Services was hired to coordinate with the graphics designer and implement the new design utilizing the WordPress Flatsome theme. DeLime continue to provide ongoing support to all their website needs.